There’s nothing more exciting and invigorating than jet-setting off on an adventure to a new and exciting destination. Whether you prefer to lounge on the beaches of Melbourne, take in the awe-inspiring cathedrals of Rome, or get lost in the streets of New York, we offer the lowest rates to all of your favourite destinations. Here’s a peek at some of our most popular destinations to consider for your next trip abroad. If New Zealand is on your bucket list, Auckland is always worth a visit! This is the largest and most diverse city in New Zealand with stunning beaches, hiking trails, and eye-popping natural wonders to explore. You can shop till you drop, saunter into a café and enjoy the sunny climate and hospitable Polynesian culture. There’s no place like Rome. So if you have yet to discover this ancient city, make this your next getaway destination! Aside from the striking ancient monuments and history that is present around every corner of this city, you can dive into some mouthwatering gelato, feast on authentic carbonara, and experience the alluring romance of this magnificent city. If you’re eager for a vibrant and exciting urban hub of adventure, full of night markets, shopping, skyscrapers and plenty of unique experiences to enjoy, Hong Kong is a must! Take in the iconic skyline, discover luxury dining or street-side food stalls for those foodie lovers, watch the Symphony of Lights, and enjoy the luminous nightlife as you wander through this exciting Asian city. Munich, Germany’s unofficial southern capital, is a flourishing city that’s renowned for its fine culture, striking architecture, and of course, tasty German beer. This expansive city is the place to be if you love old fortifications, infamous beer halls, premier shopping, and plenty of festivals to join in on. The city of Vancouver is a serene Canadian city with mountain views, a thriving art scene, museums, and an exciting, diverse population. It’s home to so many eclectic, vibrant neighbourhoods, all with so much to see and do. Boredom isn't an option here! 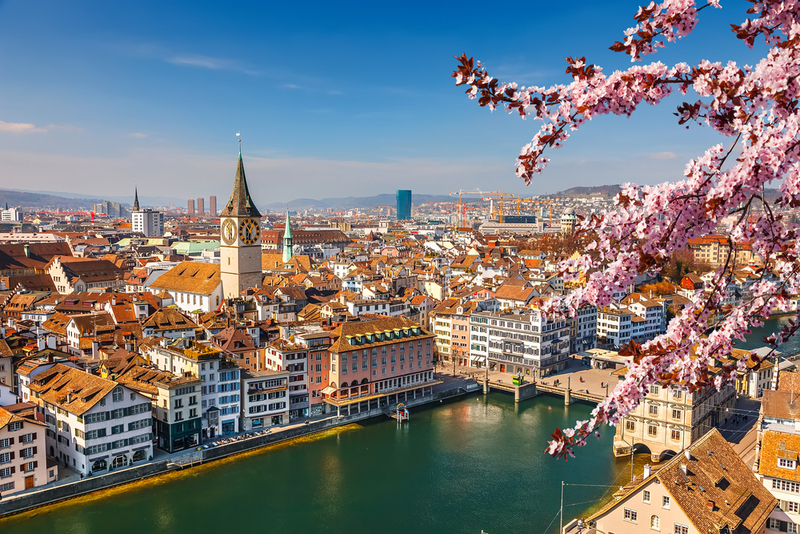 Recognized as one of the most liveable cities in the world, it’s no wonder Zurich is one of our most popular destinations for travellers to visit. This is the largest and wealthiest city in Switzerland, with a unique array of attractions. It has an impressive amount of museums, along with art galleries, international shopping, and a bustling, lively nightlife. If you’re in search of some of the most popular destinations to visit on your next vacation, be sure to give these amazing destinations some thought. With a vibrant mix of attractions, culture, food and landscapes, you won’t be disappointed! Once you’re ready to book, take advantage of the lowest possible rates through Nanak Flights. Our innovative flight search tool will help you find the best rates with more options over our competitors. Try it out today!